Unfortunately installing the contour-plugin doesnot work for me. I t says I need the module shapely.geometry. Can you please tell where I can get this module and where/how to install it?? 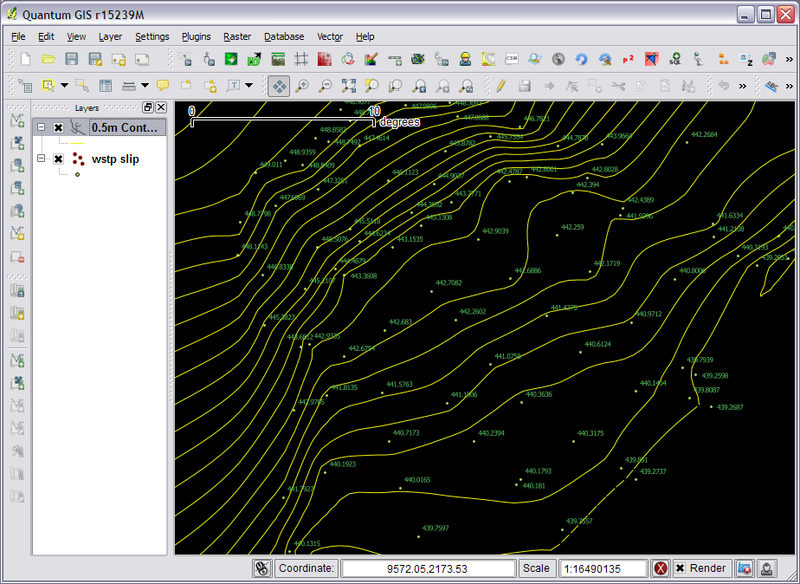 Thanks for this I have always looked for how to generate contours in qgis. I also had the issue with the shapely.geometry, and for that I used python shaply in synaptic, then I had to install the python dev again in synaptic and this did it for me. Thanks again. I am a Land surveyor based in Kampala Uganda, and I wanted to know how I can display segment distances automatically when I have a vector layer, as I have been entering these distances manually. Basically I create a csv layer with xy information, but i dont know how to do this automatically. Can Qgis compute the distance between two points automatically then display the distance as a label? ps. Nathan is your point-file available for download?? Glad that you got it working. There is a program called easy_install (http://packages.python.org/distribute/easy_install.html#id2) which you can use if you need to install python packages in the future, it’s pretty easy to use. The point file is from a surveying job at work so I don’t think I would be able to share it, although you should be able to find some free point files with elevation data on the net somewhere. I am very excited by the steps you showed using contour>contour plugin. However, when I tried to install the contour module using Plugin>Fetch Python Plugin>Contour, the contour plugin failed to install. The message says that I have not installed Tkinter. Can you help me on this? I also tried another procedure using GRASS, but its quite complicated compared to what you presented. Any other procedure you used in generating contours? Thanks a lot. Hmmm it’s shouldn’t ask that. Can I ask what platform your are running on? And how you installed QGIS. I am using Windows XP. I installed QGIS v.1.6. When I installed QGIS, I just followed the link. so far it is working well except that it asked for Tinker. I reinstalled QGIS but received the same message. I think it might have something to do with the Python install that is shipped with QGIS. Are you able to download QGIS using the OSGeo4W installer (http://download.osgeo.org/osgeo4w/osgeo4w-setup.exe) (http://trac.osgeo.org/osgeo4w/) and try in that version. I find the layout of the install from OSGeo4W to be a little better and I have had less problems with that vs the standalone windows installer. Tip: If you didn’t know, with the OSGeo4W installer you can get the latest dev build of QGIS (Handy to test new features). Click advanced and look for qgis-dev in the Desktop section. 3) restart QGIS and install a matplotlib-dependant plugin. It should work. generate contours from shapefile points! Give that a try for me. I have no idea if it’s going to work. I don’t have a windows install at the moment. 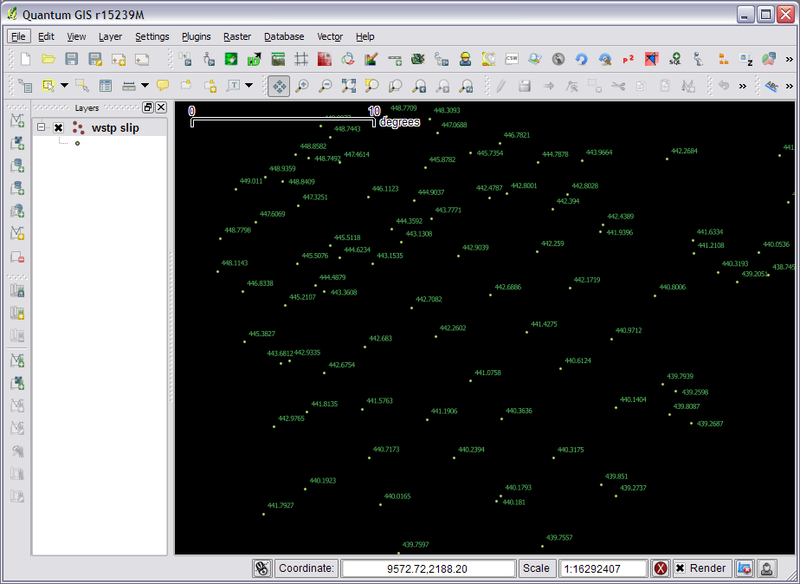 You don’t have to install GRASS if you don’t want to, just tick “qgis-dev” you will see what I mean. Sorry it’s been such a pain. Thanks Nathan. I will try experimenting on it and will update you. thank you for your plugin. I work with “contours” since Qgis 1.7.0. and it’s really a good plugin. I trie to update at Qgis 1.7.3 but the problem is the same. Do you know how I can fix it ? Contour plugin is most useful but it is not working since qGIS 172 + Contour 0.90. 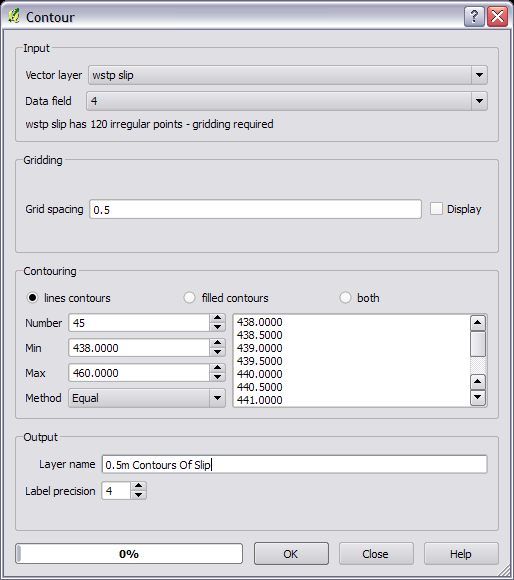 I have updated to qGIS 172 + Contour 0.91 but still the same problem. Updated matplotlib but ran into another problem Python27.dll conflict. I have just followed Kurt’s instructions on how to deal with the missing shapely.geometry and have modified it for the qgis 1.7.4 and I thought it would have worked. But when I try and load the contour plugin I now get an error message saying this pluging is broken, Pyhton said: 193. What does this mean and is there a way I can fix this? Or do I need to report this as a bug? Thanks for this page, has helped a lot. hey, for me, the plugin installed correctly, but whatever options I give, ‘OK’ is not highlighted. How can I fix this?